Breathing is life’s most vital function; countless writings and techniques, from ancient Sanskrit texts and yogic practices to numerous holistic, complementary therapies and medical interventions are devoted to the cultivation, understanding and repair of respiratory function. 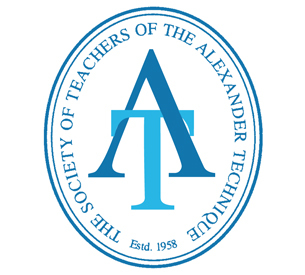 Before the Alexander Technique became popular, the developer F. M Alexander was known as a respiratory educator. Every physical, psychological and emotional problem is to some degree connected to a lack of oxygen and the interruption of full breathing cycles. Yet how many of us pay attention to our breathing patterns and habits. Too often breathing is taken for granted. Mistakenly, we assume that this function will always be working. Developing a kinesthetic awareness of breath allows us the opportunity to expand our conscious connection to life, thus participating more fully. Many people believe, that healthy breathing is from the diaphragm, or the abdomen and we have to “take a deep breath in,” or take a deep breathe into your belly,” “don’t let your chest move,” “hold your ribs out,” “relax and breathe.” There are so many ideas and misconceptions about what constitutes good healthy breathing. Diaphragm breathing has long been taught as a method to calm people because it stimulates the vagus nerve, which, in turn helps to lower levels of the stress hormone, cortisol and has a soothing nurturing effect. The natural element of nature regulates our breathing; the respiratory system is reflexive and automatic and will work perfectly well if we are not interfering with it. We don’t teach babies or children to breathe. “Babies breathe easily, softly,” Their backs and bellies move as their diaphragms move. Think of your pet dog or cat, when they rest you can observe a full expansive contraction and expansion. If we interfere with the natural rhythm of the breath it will feel forced and therefore have the effect of producing tension. Breathing happens spontaneously in response to all our thoughts and feelings and environment. Your thinking, emotions, environment and body have a direct influence of you breath. Because breathing is something all of us do all the time, you rarely notice your moment to moment, day to day breathing pattern; so therefore easily interfere with the natural rhythm. The Alexander Technique helps you get to the source of what’s interfering with this vital fuel of your body. When your breathing is functioning optimally, this will have a huge positive influence on your overall health, vitality, and wellbeing. Here is a short clip by one of the world’s leading experts of breathing -Jessica Wolf – which clearly and very graphically shows the principle muscle of breathing, the diaphragm and many of other respiratory muscles. Most people think the most of the lung tissue and diaphragm are in the front of the body. You will see this is not the case at all, notice how dynamic and three dimensional breathing is. By having Alexander lessons you will discover the functional anatomy of breathing and how to not interfere with one of life’s most vital functions.